Passengers ride the Music City Star more than regional buses, but additional commuter rail routes are unlikely, officials say. Nashville’s transit officials hear the clamoring for more commuter rail service, which is usually fast and can carry a lot of people. But in Middle Tennessee, that would probably require squeezing passenger trains onto busy CSX freight lines — and those prospects are slim, according to a new study. Hear uncut audio of RTA CEO Steve Bland discussing challenges to commuter rail. The new, detailed policy paper says that for the “foreseeable future” it will be “extremely difficult” to expand commuter rail here. That’s largely because demand for freight trains has already grown nearly to capacity, with Nashville serving as a key national corridor, home to the third-largest switching hub in the CSX network. 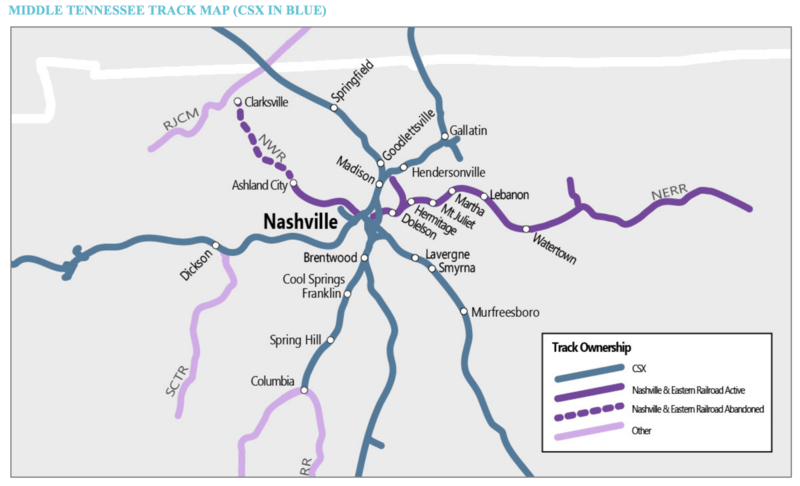 This map shows the dominance of CSX among freight line companies in Middle Tennessee. 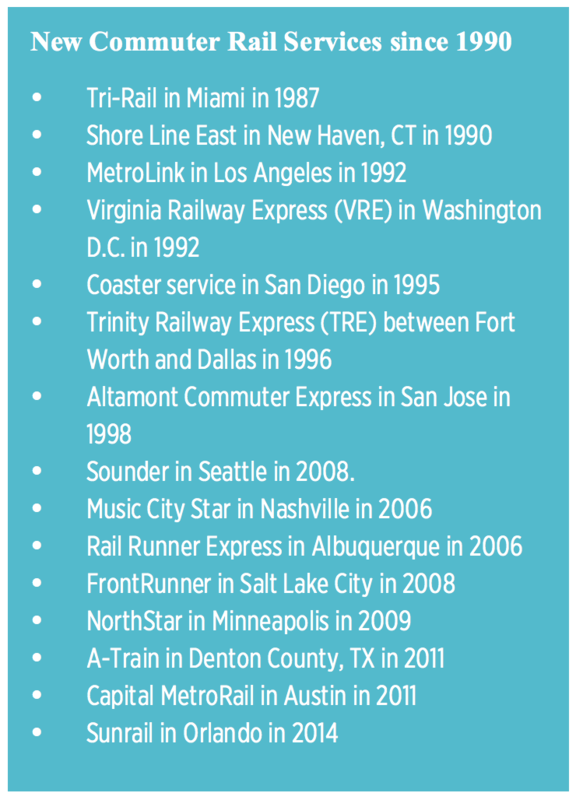 Most cities that have added commuter rail have not been successful with more than a single line. With the Music City Star, Nashville has found — like other cities that added commuter rail since 1990 — that expanding beyond a single line is nearly impossible. The new study provides case studies of the funding models and line-sharing agreements that made those feasible. The other wildcard is the future of coal. If that were to decline, freight lines could free up. Bland said he doesn't want the region to give up on commuter rail, but he said potential riders should first study the realities, and only push for it if willing to shoulder the costs. Beyond Nashville’s border, the regional transportation system has not kept up with demand and could fall further behind as the population grows, according to a new transit study. The issues holding back transit through the 10-county region, according to the "State of the RTA System" report, are lack of frequency of regional train and bus service, the inability of "express" buses to move faster than traffic, and the inconvenience and lack of awareness of Park-and-Ride lots for commuters and carpoolers. Mayoral Candidates All Talk Transit, But What About Music City Star Expansion? Nashville's candidates for mayor talk about an urgent need for mass transit, but until this week, few had weighed in on the Music City Star. Nashville transportation leaders got what they asked for this week: passionate public opinions — and plenty of complaints — about the current mass transit options.